Indiana has 92 counties, which have their own trial courts. The Indiana Appeals Court has three districts which review the decisions of those lower courts. Any further appellate review is handled by the Indiana Supreme Court. 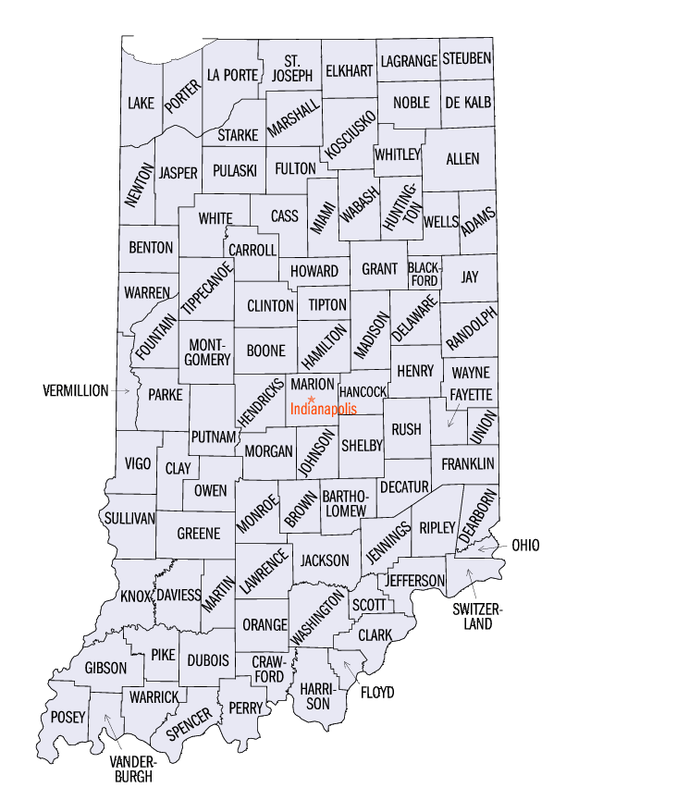 The three largest municipalities in Indiana are Indianapolis, Fort Wayne, and Evansville. Any complaints regarding the competency or ethics of your attorney should be made with the Indiana Disciplinary Commission. To report an attorney mail an Indiana Grievance Form to 30 South Meridian Street, Suite 850, Indianapolis, IN 46204.